The MIT School of Bioengineering Sciences and Research is one of the reputed Engineering colleges of Pune, Maharashtra. This college was established in 2016. It offers B. Tech and M. Tech. courses. The MIT School of Bioengineering Sciences and Research is affiliated with the MIT ADT. The MIT School of Bioengineering Sciences and Research imparts quality education to students by providing them access to the modern laboratories, library, sports, research facilities, and clubs. 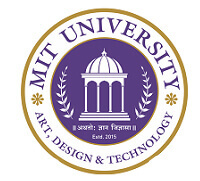 Admissions in the MIT School of Bioengineering Sciences and Research are done on the basis of applicant’s score in the IIT JEE Mains Paper1 exam or MHT-CET exam score.